across Exeter and large parts of Devon for over 10 years. With over 250 distributors reaching over 120,000 properties in the Exeter, East Devon, South Devon and Mid Devon area we can get your leaflets direct to the door of houses in the areas you need them to be seen. Let us take care of the design, printing and distribution all under one roof with our bundle packages. They provide great value and excellent service all bundled into one. We work with you every step of the way from your initial idea to the day that your leaflet gets posted through the door, helping you to save time and money and get great results! One Leaflet have been successfully delivering your leaflets across Exeter and large parts of Devon for over 10 years, and with our 6 point guarantee, you’ll be left feeling confident that all of your leaflets are being delivered on time and in the areas you require. We have recently expanded our coverage to Mid Devon and South Devon, giving you even more opportunity to create a leaflet campaign tailored to your requirements. 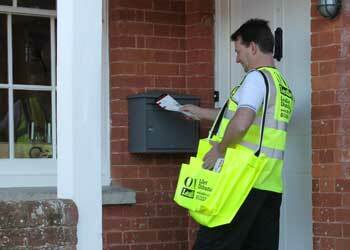 At One Leaflet, we know that it can be confusing when planning a door to door leaflet drop. We’re here to make things simple. With a straightforward cost per 1,000 leaflets delivered, and guidance from our dedicated team, we will ensure your campaign runs smoothly from start to finish. We can even provide design, print and distribution leaflet packages that keep everything under one roof, making life that bit easier for you. How can we really make a difference to your business? 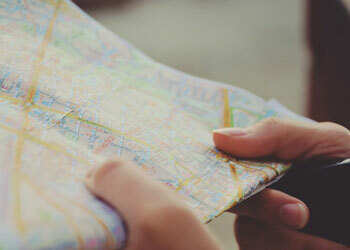 As a friendly, reliable Devon based company with over ten years of experience we are able to offer fantastic tried and tested methods of leaflet distribution that lead to a great response. With 250 distributors reaching over 120,000 properties in the Exeter, East Devon, South Devon and Mid Devon area we can get your leaflets to the areas you need them to be in. We provide a complete marketing service which means that we can handle any aspect of your direct marketing from design, printing and distribution of any leaflets. We work with a wide variety of clients and so we can help businesses large and small reach the households and businesses that they need to reach in order to grow. With our 6 Point Guarantee, you know you’re in safe hands. The key to a successful direct mail campaign is knowing who you are delivering to and understanding why they might respond positively to your promotion. 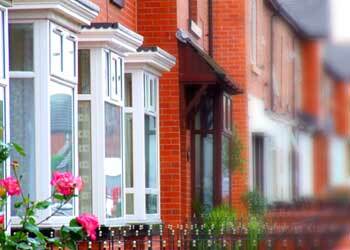 Here at ONE Leaflet we understand the local market and the type of people who live across the various postcodes on offer. One Leaflet have been successfully delivering leaflets across Exeter & East Devon for over 10 years and will ensure your campaign runs smoothly from start to finish. We can help you look at the goals and objectives of your campaign and our tried and trusted methods of distribution mean that we can give you peace of mind in knowing that leaflets have been delivered safely. If you entrust us to organise the printing of your leaflets, we promise that the job will be completed quickly, professionally and at a competitive price. Let us take the pressure off and take care of the entire process from start to finish leaving your time free to focus on the important things. Your business. How can we really make a difference to your business? What can we do to capture the attention of all those potential customers and make them decide to choose you over your competition? The life of a leaflet distributor is not heavy work but you will need to be reasonably fit as it involves plenty of walking. You can work locally around where you live or if you have a car we can give you plenty of leaflets to deliver further afield like local villages and other nearby locations. The more flexible you are with time and area covered the more work we can give you. With leaflet distribution from just £25 + VAT per thousand leaflets we’re very competitively priced. We’re up to half the price of Royal Mail and offer targeted distribution from just 0.025 pence per household.